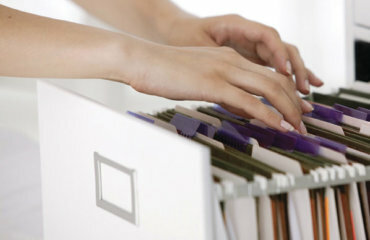 When working in an office, you need a reliable computer and printer to work on; but if you are just starting out, your cash flow might be limited. This is where professional printer rentals can come in quite handy as it is a cost-effective and practical solution for businesses of all sizes. Renting printing equipment is just one way in which Document Excellence is trying to support new businesses, and trying to make life at the office easier. Traditionally, you will buy a printer the same time as you are purchasing a computer. If you already are an established business and do own a printer, you will normally be on the lookout for a new printer if the old one packs up or if you need to buy a printer due to your business needs changing. The benefit to printer rentals is that they allow you to have the latest models to work with, without breaking the bank. You’ll have the opportunity to increase your workflow and the quality of printing, impressing your clients and enhancing your business’s image. If you are a big printing or marketing company that uses wide format printers, copiers and scanners, it will make sense to work with the newest technology. Production printers and copiers are very expensive to buy initially, but if you need to have this type of equipment in order to perform a service, it is important to consider all your options. What happens if you have a deadline and the current machine breaks down? Will you be able to replace it in time by buying one immediately? The option to rent printers makes sense on so many levels. Money-wise, you will save on the initial purchase price, but you will also be able to provide a great printing service to your customers using the best equipment available. 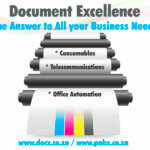 At Document Excellence, you will be able to rent any kind of printer, regardless of the type of service or industry. Now you will be able to have control over your expenses, knowing that you will only pay a small amount for the renting of a brand new machine, and be confident in reaching your deadlines on time, all the time.